Want to learn more about Knights of the Frozen Throne ? Head on over to our Knights of the Frozen Throne guide! Join the discussion on our forums! Come discuss Prince Keleseth over in our dedicated Prince Keleseth discussion topic. Battlecry: If your deck has no 2-Cost cards, give all minions in your deck +1/+1. Three Princes stand before you. This one wants to buff his brothers. It amazes me how no one saw how this would break the meta like a cracker. Warlocks in particular have their imp cards profit off this effect like crazy. 1-mana 4/3 Flame Imp anyone? How about 3/4 Saronite Chain Gang? How is this card still not nerfed yet? Remember when (back to MSG) Control Priest at a certain point started to run the pirate package? Now it is happening the same thing. 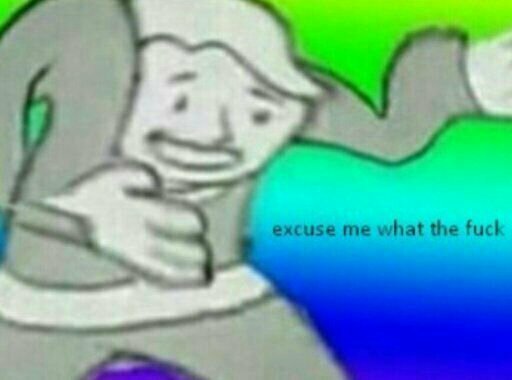 I hope Blizzard this time won t wait till next rotation to nerf it (as they ve done last time). One of the sickest goldens hands down. How is this card magically either in your mulligan, or the last card in your deck? Are you just salty? If Keleseth is OP he will be in every single deck, but no. No 2 mana minion or spell is a huge restriction. It means that if Keleseth is not in your mulligan your turn 2 play will be pretty bad, and that carries into turns 3-5 as well because you have no 2 mana card to smooth out your curve. Posting this comment as a reminder to everyone that this card was bascially unanimously shat upon as being garbage when it was revealed. Fast forward a year and it has seen top tier play in control, midrange, combo, aggro, zoo, and tempo decks. We are really bad at evaluating cards. Prince tempo! Love this card in rogue builds. Interesting that Hunter uses it a lot, I guess for the Quest? It makes total sense, my Quest Hunter doesn't have any 2-cost minions anyway, except for Scavenging Hyena, which isn't any good most of the time, anyway. So subbing it out for Prince Keleseth ain't a problem. Maybe sub both out and add a Flesheating Ghoul ... or another Toxmonger, cause I noticed he draws a lot of attention from opponents. The general idea is that Keleseth will give most minions in the Quest about 1.5 times body (and they're already strong enough, only lacking mid-game, where the extra body counts). A frenzied boar would be 5/5 Charge for 1 Mana, and that's quite okay. What happens If you play him, then return him to your hand and play him again? Exactly as you think. Your minions get an additional +1/+1. So minions in your deck are now +2/+2 total. 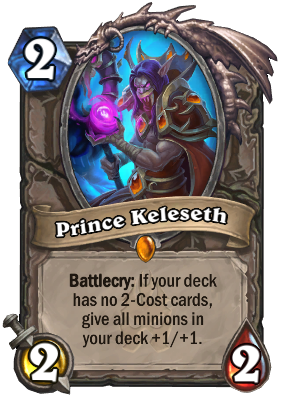 I have created a Fan post on Reddit discussing how Prince Keleseth could be nerfed. Hopefully you guys check it out and leave comment detailing what your opinion is on the issue. Have a great day!